Women in the Middle East/ Western Asia: the Fight for Equality Continues! Posted byRed Lips High Heels March 2, 2013 Posted inGender Studies, Violence against Women, Women and Religions, Women’s Roles and SituationsTags: Equality, Gender Equality, Middle East, Patriarchy, Western Asia, WomenLeave a comment on Women in the Middle East/ Western Asia: the Fight for Equality Continues! Relax… Don’t be afraid of Feminism(s)! 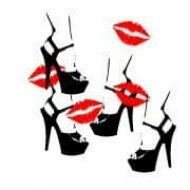 Posted byRed Lips High Heels January 30, 2013 Posted inGender Studies, Women’s Roles and SituationsTags: Equality, Feminism, Matriarchy, Middle East, Patriarchy, WomenLeave a comment on Relax… Don’t be afraid of Feminism(s)! Posted byRed Lips High Heels December 23, 2012 Posted inPersonal Stories, Women’s Roles and SituationsTags: Equality, Lebanon, Sexism, Stereotypes, Women, Youth6 Comments on What is Being a Woman in the Lebanese Society? What do I mean by Equality between Men and Women? Posted byRed Lips High Heels December 20, 2012 Posted inGender Studies, Women’s Roles and SituationsTags: Equality, Feminism, Gender, Lebanon, Men, Middle East, Sexuality, Stereotypes, Western Asia, WomenLeave a comment on What do I mean by Equality between Men and Women?